LP Service removes old anti-fouling paint, rust, corrosion, marine growth, chlorides and epoxy based paints and much more. We won’t the gel coating on your surface, and we will do it in a fraction of the time of other systems. We come right to you - there is no need to move your boat to another location. 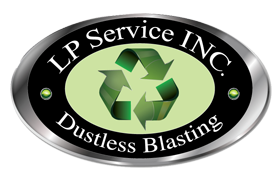 We can complete the project right at your home, and we won’t leave any mess, dust or residue.